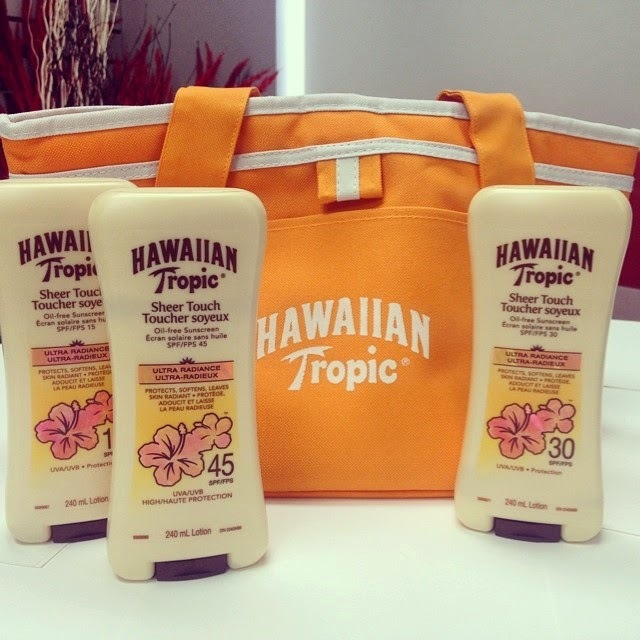 Us C&C Girls got a lovely summer care package in the mail today from Hawaiian Tropic . We absolutely love the new Sheer Touch Ultra Radiance sunscreen that not only protects us from harmful UV rays, but also softens and leaves your skin radiant! It's made with an all new innovative formula consisting of guava, papaya and plumeria extracts. The lotion contains special pigments that reflect light, therefore enhancing your skin's natural glow and creating the ultimate radiance. This amazing product is oil-free so can be worn on the face and won't clog your pores. It's also water resistant to keep you protected and radiant at any pool or beach. Sheer Touch Ultra Radiance is available in SPF 15, 30, 45 and 60 and available at most major retailers across Canada.